This FirePoint Creations design is made just for mom. It features engraving of a classic poem all about the importantance of mom's in our life. Personalized with the name(s) of mom's son/daughters. 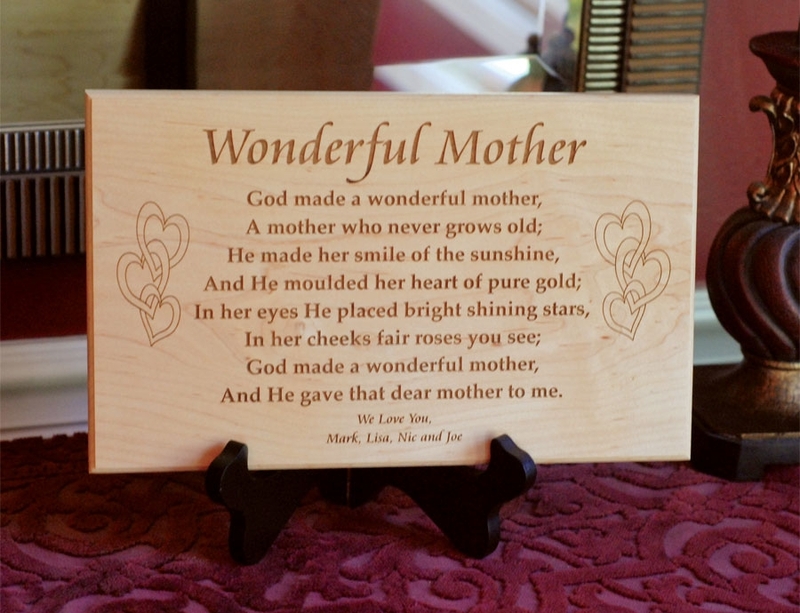 Personalized Mother's Day Wood Plaque Engraved Mom Plaque. Mom deserves the best. She has seen you at your best and helped you when you needed it. Now, show how much she means to you with our Personalized Mother's Day Plaque. My order arrived before it was scheduled and it was amazing! It looked so good, much better than the website picture. I am so grateful and I know my Mother will really like it as well!